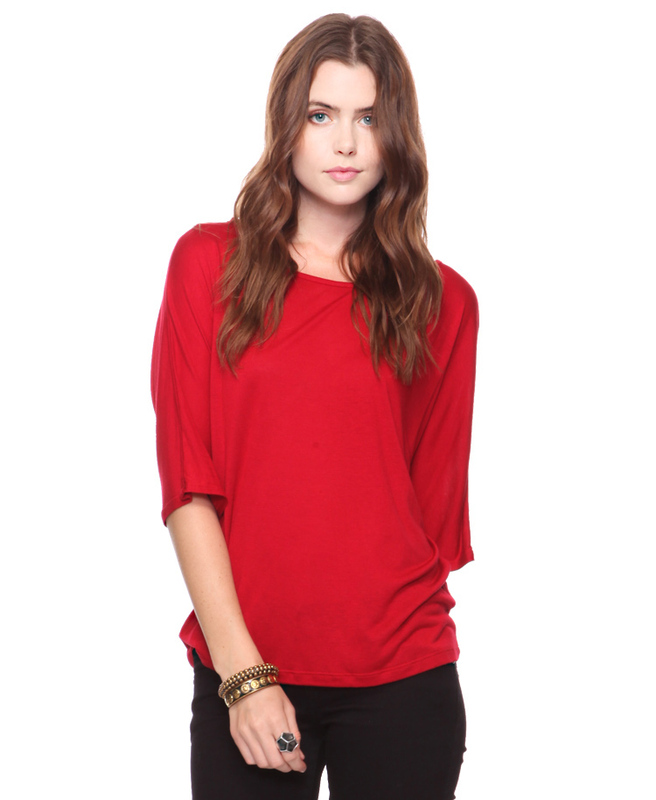 A super soft jersey top with a back yoke knot and sliver cutout. 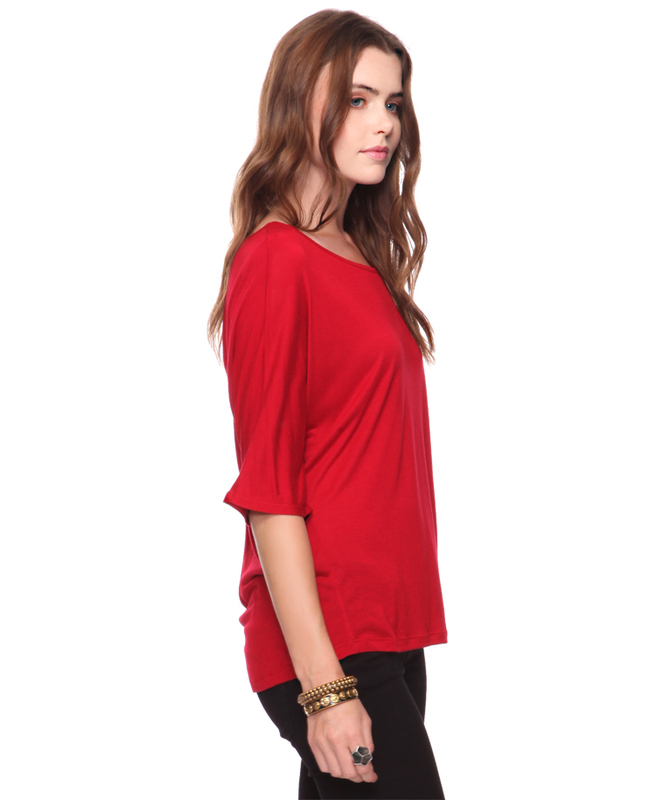 Dolman sleeves. Round neck. Lightweight. Knit.